Kampala is the capital and largest city of Uganda. The city is divided into five boroughs that oversee local planning: Kampala Central Division, Kawempe Division, Makindye Division, Nakawa Division, and Rubaga Division. 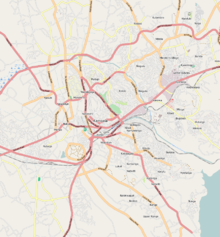 Surrounding Kampala is the rapidly growing Wakiso District, whose population more than doubled between 2002 and 2014 and as of 2014 Wakiso was reported to stand at over 2 million. Kampala was named the 13th fastest growing city on the planet, with an annual population growth rate of 4.03 percent, by City Mayors. Kampala has been ranked the best city to live in East Africa ahead of Nairobi and Kigali by Mercer, a global development consulting agency based in New York City. Before the arrival of the British colonists, the Kabaka of Buganda had chosen the zone that would become Kampala as a hunting reserve. The area, composed of rolling hills with grassy wetlands in the valleys, was home to several species of antelope, particularly impala. When the British arrived, they called it "Hills of the Impala". The language of the Baganda, Luganda, adopted many English words because of their interactions with the British. The Baganda translated "Hill of the Impala" as Akasozi ke'Empala – "Kasozi" meaning "hill", "ke" meaning "of", and "empala" the plural of "impala". In Luganda, the words "ka'mpala" mean "that it is of the impala", in reference to a hill, and the single word "Kampala" was adopted as the name for the city that grew out of the Kabaka's hills ''. 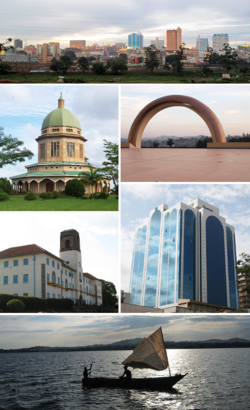 The city grew as the capital of the Buganda kingdom, from which several buildings survive, including the Kasubi Tombs (built in 1881), the Lubiri Palace, the Buganda Parliament and the Buganda Court of Justice. In 1890, British colonial administrator Capt. Frederick Lugard constructed a forum along Mengo Hill within the city, which allowed for the British to occupy much of the territory controlled by the Baganda, including Kampala. In 1894, the British government officially established a protectorate within this territory, and in 1896, the protectorate expanded to cover the Ankole, Toro Kingdom, and Bunyoro kingdoms as well. In 1905, the British government formally declared the entire territory to be a British colony. From that time until the independence of the country in 1962, the capital was relocated to Entebbe, although the city continued to be the primary economic and manufacturing location for Uganda. In 1922, the Makerere Technical Institute, now known as Makerere University, started as the first collegiate institution both within Kampala, and within the British colonies on the east coast of Africa. Following the 1962 independence, Kabaka Edward Mutesa a Buganda king, became the became the first executive President of Uganda but later over thrown by Milton Obote who was then the prime minister and became president of Uganda, and held the position until 1971, when former sergeant Idi Amin deposed his government in a military coup. Idi Amin proceeded to expel all Indian residents living within Kampala, and attacked the Jewish population living within the city. In 1978, he invaded the neighboring country of Tanzania, and in turn, the government there started the Uganda–Tanzania War, which caused severe damage to the buildings of Kampala. The city has since then been rebuilt with new construction of hotels, banks, shopping malls, educational institutions, and hospitals and the improvement of war torn buildings and infrastructure. Traditionally, Kampala was known to be a city of seven hills, but over time it has been proven to have a lot more. Kampala has a tropical rainforest climate (Af) under the Köppen-Geiger climate classification system. Other features of the city include the Uganda Museum, the Ugandan National Theatre, Nakasero Market, and St. Balikuddembe Market (formerly Owino Market). Kampala is also known for its nightlife, which includes several casinos, notably Casino Simba in the Garden City shopping centre, Kampala Casino, and Mayfair Casino. Port Bell on the shores of Lake Victoria is 10 kilometres (6.2 mi) away. Kampala hosts a Bahá'í House of Worship known as the Mother Temple of Africa and is situated on Kikaya Hill on the outskirts of the city. The temple was inaugurated in January 1961. The Ahmadiyya Central Mosque in Kampala is the central mosque of the Ahmadiyya Muslim Community, which has six minarets and can hold up to 9,000 worshippers. While more than 30 percent of Kampala's inhabitants practice urban agriculture, the city of Kampala donated 32 acres (13 ha) to promote urban agriculture in the northeastern parish of Kyanja, in Nakawa Division. The population of Kampala grew from 1,189,142 in 2002 to 1,507,080 in 2014. In 2019 the population of Kampala is projected to be 1,650,800. Kampala has a diverse ethnic population. The city's ethnic makeup has been defined by political and economic factors. A large number of western Ugandans, particularly the Banyankole, moved to the capital in the new government of Yoweri Museveni. Inter-tribal marriage in Uganda is still uncommon outside large urban centers. Although many Kampala residents have been born and brought up in the city, they still define themselves by their tribal roots and speak their ancestral languages. This is more evident in the suburbs, where tribal languages are spoken widely alongside English, Luganda, and Swahili (more recently introduced). In addition to the Baganda and Banyankole, other large ethnic groups include the Basoga, Bafumbira, Batoro, Bakiga, Alur, Bagisu (better known as Bamasaba), Banyoro, Iteso, Langi, and Acholi. A prominent cultural centre in the Kampala area of Kisasi that aims to promote Ugandan and African cultural expressions through music, dance and drama. The name Ndere is derived from the noun 'endere', which means flute. As an instrument found in all cultures, it is chosen as a peaceful symbol of the universality of cultural expressions. The Ndere centre is famous for its Ndere troupe, a music and dance troupe that perform several nights every week at the centre showcasing music and dance from all over Uganda as well as Rwanda and Burundi. 16 June 2017 Aga Khan IV (1936–Present) British Humanitarian and Imam of Nizari-Ismaili Shia Islam. Kampala is home to the City Oilers, one of East Africa's top basketball club teams. It is the only East African team that competes in the FIBA Africa Clubs Champions Cup. The Oilers play their home games in the MTN Arena, which is based in Kampala's Lugogo Area. Efforts are underway to relocate heavy industry to the Kampala Business and Industrial Park, located in Namanve, Mukono District, approximately 14 kilometres (8.7 mi) east of the city's central business district, thereby cutting down on city traffic congestion. Some of the businesses that maintain their headquarters in the city center include all of the 25 commercial banks licensed in Uganda; the New Vision Group, the leading news media conglomerate and majority owned by the government; and the Daily Monitor publication, a member of the Kenya-based Nation Media Group. Air Uganda maintained its headquarters in an office complex on Kololo Hill in Kampala. Crown Beverages Limited, the sole Pepsi-Cola franchise bottler in the country, is situated in Nakawa, a division of Kampala, about 5 kilometres (3 mi), east of the city centre. The informal sector is a large contributor to Kampala's GDP. Citizens who work in the formal sector also participate in informal activities to earn more income for their families. A public servant in Kampala, for example, may engage in aviculture in addition to working in the formal sector. Other informal fields include owning taxis and urban agriculture. The use of Kampala's wetlands for urban farming has increased over the past few decades. It connects the informal rural settlements with the more industrialized parts of the city. The produce grown in the wetlands is sold in markets in the urban areas. In December 2015, Google launched its first wi-fi network in Kampala. Boda-bodas (local motorbike transport) are a popular mode of transport that gives access to many areas within and outside the city. Standard fees for these range from USh:1,000 to 2,000 or more. Boda-bodas are useful for passing through rush-hour traffic, although many are poorly maintained and dangerous. In early 2007, it was announced that Kampala would remove commuter taxis from its streets and replace them with a comprehensive city bus service. (In Kampala, the term "taxi" refers to a 15-seater minibus used as public transport.) The bus service was expected to cover the greater Kampala metropolitan area including Mukono, Mpigi, Bombo, Entebbe, Wakiso and Gayaza. As of December 2011[update] the service had not yet started. Having successfully completed the Northern Bypass, the government, in collaboration with its stakeholders, now plans to introduce the Bus Rapid Transit (BRT) system in Kampala by 2014. On 12 March 2012, Pioneer Easy Bus Company, a private transport company, started public bus service in Kampala with an estimated 100 buses each with a 60-passenger capacity (30 seated and 30 standing), acquired from China. Another 422 buses were expected in the country in 2012 to complement the current fleet. The buses operate 24 hours daily. The company has a concession to provide public transport in the city for the next five years. The buses were impounded for back taxes in December 2013. The company expected to resume operation in February 2015. On 11 April 2011, the pressure group Activists for Change (A4C) held its first Walk to Work protest near Kampala, in response to a comment by President Museveni on the increased cost of fuel, which had risen by 50 percent between January and April 2011. He said: "What I call on the public to do is to use fuel sparingly. Don't drive to bars." The protest, which called on workers to walk to work to highlight the increased cost of transport in Uganda, was disrupted by police, who fired tear gas and arrested three-time presidential candidate Kizza Besigye and Democratic Party leader Norbert Mao. In the course of the protest, Besigye was shot in the right arm by a rubber bullet. The government blamed the violence on protesters. In 2016, the Rift Valley Railways Consortium (RVR) and Kampala Capital City Authority established passenger rail service between Namanve and Kampala and between Kampala and Kyengera. Those services were temporarily discontinued after RVR lost its concession in Uganda in October 2017. However, when Uganda Railways Corporation took over the operations of the metre gauge railway system in Uganda in 2018, the service was restored in February that year. A new Kampala to Port Bell route is being planned, to be added in the 2018/2019 financial year. ^ Vision, Reporter (19 April 2011). "Kampala Executive Director Takes Office". New Vision. Archived from the original on 14 July 2014. Retrieved 11 June 2014. ^ "Uganda: Administrative Division". Retrieved 4 July 2015. ^ "City Mayors: World's fastest growing urban areas (1)". www.citymayors.com. ^ "Kampala ranked best city in East Africa". ^ "Kampala: Origin of The Name". Myetymology.com. Retrieved 11 June 2014. ^ "Kampala, Uganda (1890- ) | The Black Past: Remembered and Reclaimed". www.blackpast.org. Retrieved 12 November 2016. ^ "HISTORY OF UGANDA". www.historyworld.net. Retrieved 12 November 2016. ^ a b c (http://www.hydrant.co.uk), Site designed and built by Hydrant. "Uganda : History | The Commonwealth". thecommonwealth.org. Retrieved 12 November 2016. ^ a b "Kampala, Uganda (1890- ) | The Black Past: Remembered and Reclaimed". www.blackpast.org. Retrieved 12 November 2016. ^ "History of the City of Kampala". Ugandatravelguide.com. Retrieved 7 July 2012. ^ a b "Climate: Kampala – Climate graph, Temperature graph, Climate table". Climate-Data.org. Retrieved 3 July 2015. ^ "World Weather Information Service – Kampala". World Meteorological Organization. Retrieved 30 March 2016. ^ "Average Conditions Kampala, Uganda". BBC Weather. Retrieved 11 June 2014. ^ Azzarito, Amy. "Where to Party in Kampala, the City That (Really) Never Sleeps". ^ "Fifty years on, Uganda's Baha'i temple stands as a symbol of unity and progress – Bahá'í World News Service (BWNS)". 18 January 2011. ^ UBOS. "National Population and Housing Census 2014 Main Report" (PDF). Uganda Bureau of Statistics (UBOS). Retrieved 1 January 2017. ^ Jones, Ben (2 April 2009). "Museveni's Rule Has Divided Uganda". London: The Guardian. Retrieved 11 June 2014. ^ "Ethnic Groups of Uganda". Cia.gov. Retrieved 11 June 2014. ^ "Ndere centre, where African culture is very alive". www.newvision.co.ug. Retrieved 2018-03-08. ^ BRC (3 February 2016). "John Mugabi: Biography". Boxrec.com (BRC). Retrieved 3 February 2016. ^ Juruni eyes 2013 Basketball crown, NewVision.co.ug, 17 May 2013. Accessed 16 May 2017. ^ GFC (3 February 2016). "Distance between Kampala Road, Kampala, Central Region, Uganda and Namanve Industrial Park, Mukono, Central Region, Uganda". 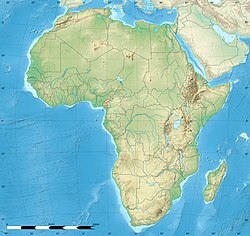 Globefeed.com (GFC). Retrieved 3 February 2016. ^ Vision Reporter (23 February 2009). "Air Uganda Increases Flights to Dar". Kampala: New Vision. Archived from the original on 14 December 2013. Retrieved 11 June 2014. ^ Administrator (14 October 2013). "Two decades of positive growth for Crown Beverages". The Independent (Uganda). Kampala. Retrieved 3 February 2016. ^ "Hazards and vulnerabilities among informal wetland communities in Kampala, Uganda". Environment and Urbanization. 28. ^ "Google launches wi-fi network in Kampala, Uganda". 4 December 2015. Retrieved 2 December 2016. ^ Francis Kagolo, and Joseph Kariuki (24 August 2008). "Deadly Ride: Boda Bodas Leading Cause of Hospital Casualties". New Vision. Retrieved 11 June 2014. ^ "Pioneer Easy buses to offer 24-hour service". Retrieved 25 May 2015. ^ Muhairwe, Priscilla (5 April 2011). "Pioneer Easy Bus Set to Introduce Electronic Pay Buses". The Independent (Uganda). Retrieved 11 June 2014. ^ "Pioneer Buses Start Service, Taxi Strike Flops". Welcometokampala.com. 12 March 2012. Retrieved 11 June 2014. ^ "Pioneer buses back: What has changed?". Daily Monitor. ^ a b "Deadly Crackdown on Uganda's Walk-to-Work Protests". TIME.com. 23 April 2011. Retrieved 25 May 2015. ^ a b Musaazi Namiti. "Uganda walk-to-work protests kick up dust". Retrieved 25 May 2015. ^ "Kizza Besigye held over Uganda 'Walk to Work' protest". BBC News. 12 April 2011. Retrieved 25 May 2015. ^ a b Ngwomwoya, Amos (23 February 2018). "Passenger train services to resume on Monday". Daily Monitor. Kampala. Retrieved 24 February 2018. ^ Alfred Ochwo, and Mercy Ahukana (27 February 2018). "Kampalans welcome revamped passenger train services". The Observer (Uganda). Kampala. Retrieved 2 March 2018.